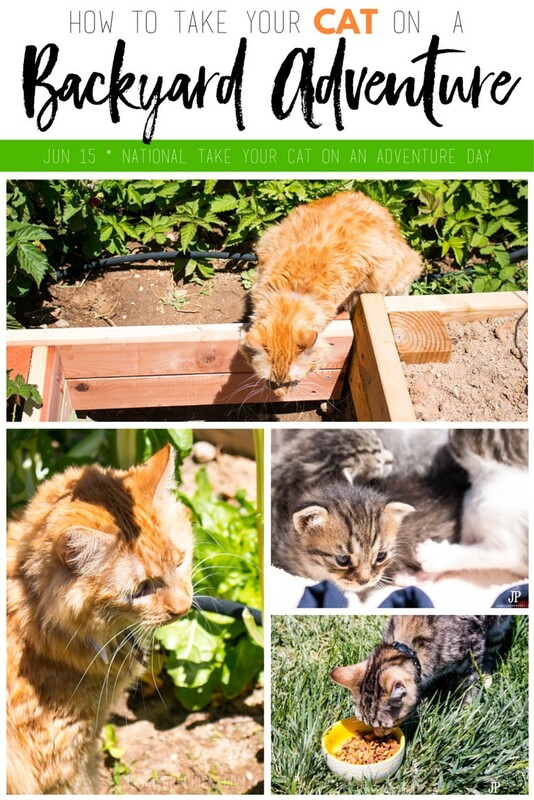 Did you know Purina Pro Plan has declared June 15 is National “Take Your Cat on an Adventure” Day? 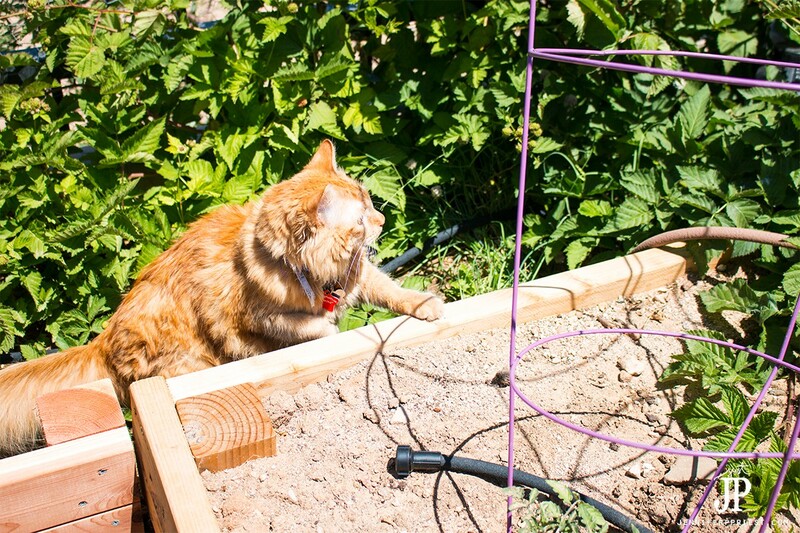 There are lots of ways to take kitty on an adventure, even in your own backyard. And feeding her Purina Pro Plan gives her extraordinary nutrition to help her live an adventurous lifestyle and flourish! On May 23 in NYC’s Central Park, Purina Pro Plan kicked off pre-National “Take Your Cat on an Adventure” Day festivities, including a “cat walk,”. In addition, Adventure Cats, other select media, influencers, and Purina cat veterinarians/behaviorists attended. 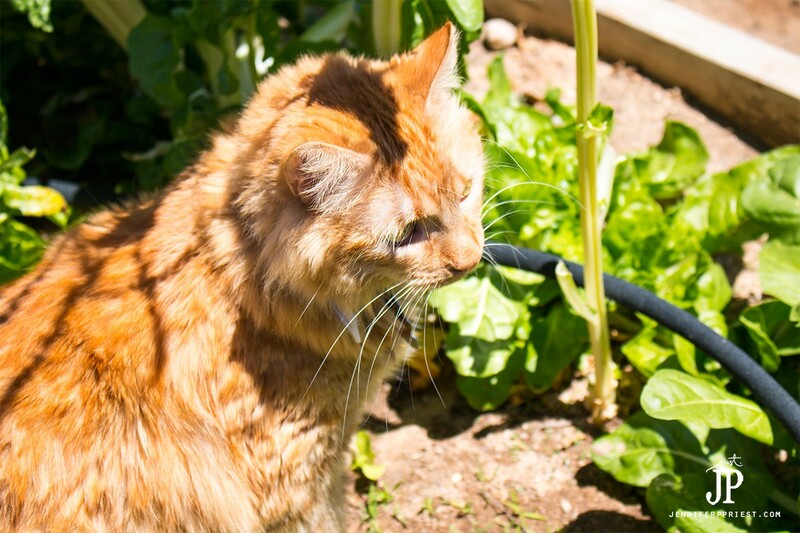 So how is it possible to take your cat on an adventure in your own backyard? No matter where you live, you can find a great adventure for your cat! We live in a very rural area with few parks and lots of wild critters. 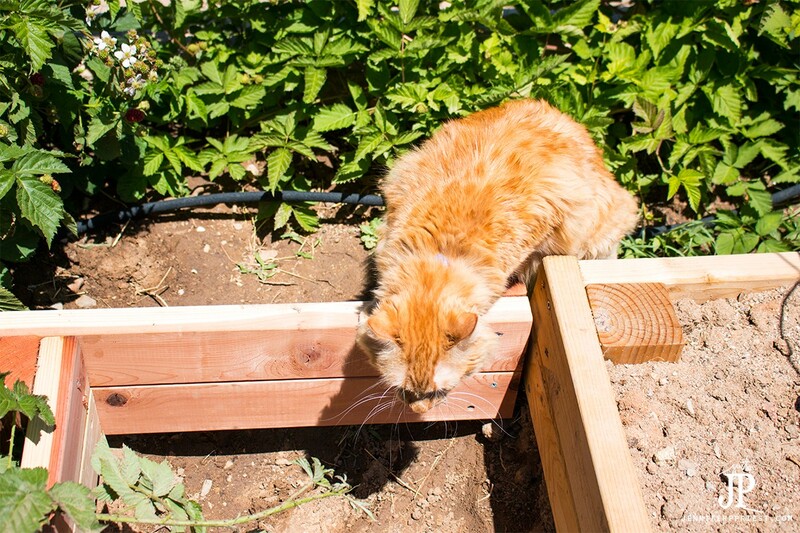 Our cats love the outdoors, so we help them have adventures within our own backyard, literally! When we got Adventure Kitty, she was a tiny little kitten, probably about 2 weeks old, that we had to bottle feed. She had three siblings, but Adventure Kitty was the most active. We’d gather the kittens on the back patio while we fed each one and Adventure Kitty would venture all the way to the edge of the concrete and out into the grass. All of the other kittens could barely walk and Adventure Kitty was off on an adventure, as fast as her tiny little legs could carry her. If your kitty spends most of her time indoors, like Adventure Kitty, then going outside can be a special treat. We’ve been spending 3o to 60 minutes in our garden every night, planting, weeding, and building new beds, but Adventure Kitty howls at the door when we leave her alone in the house. 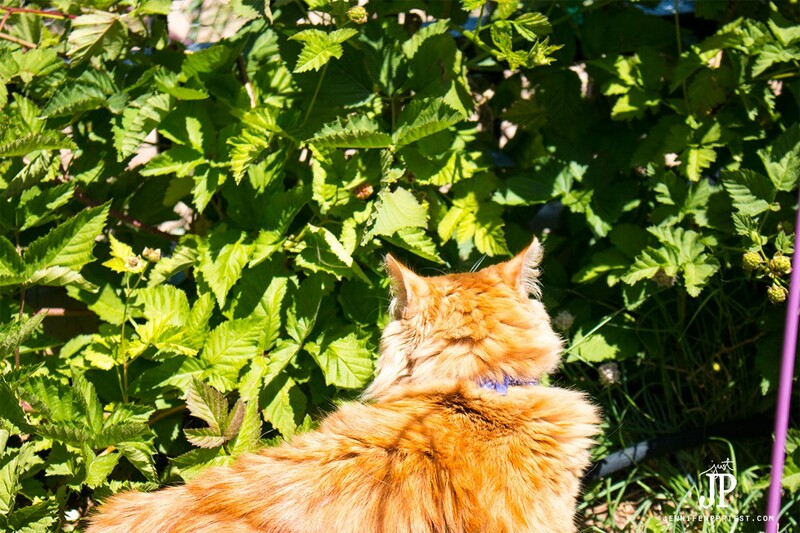 We’ve started bringing her into the garden with us, where she can sniff the plants and dirt, lie in a cool spot under the blackberry and boysenberry bushes, and visit with our outdoor kitties. She even stalks and chases butterflies! 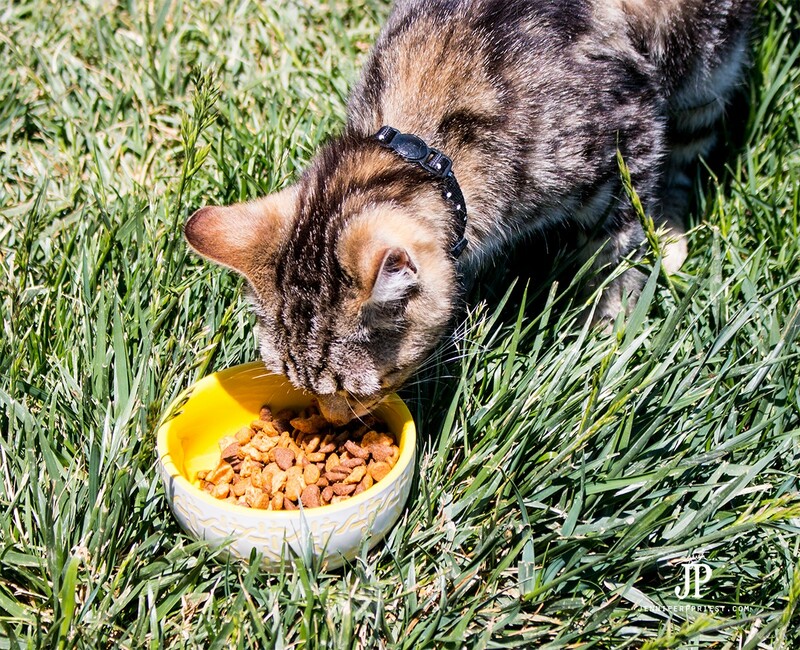 Purina Pro Plan’s extraordinary nutrition helps all of our cats, like Adventure Kitty, to enjoy adventurous activities and a lifestyle that allows them to truly flourish. This year, one of our other cats had kittens and they so remind me of Adventure Kitty when she was tiny. We’re keeping the mama and the babies safe in our extra-large dog house, lined with cedar chips and comfy felt bedding. This past weekend, the sun came out and we moved the kitties to a sunny patch in the grass so they could get out into the fresh air. 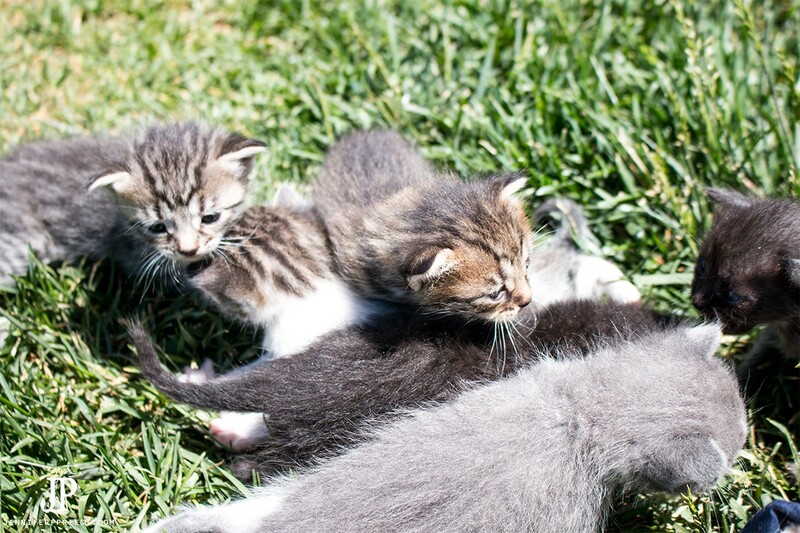 Even kittens as young as these, at just under 3 weeks old, can have adventures in the safety of your own backyard. 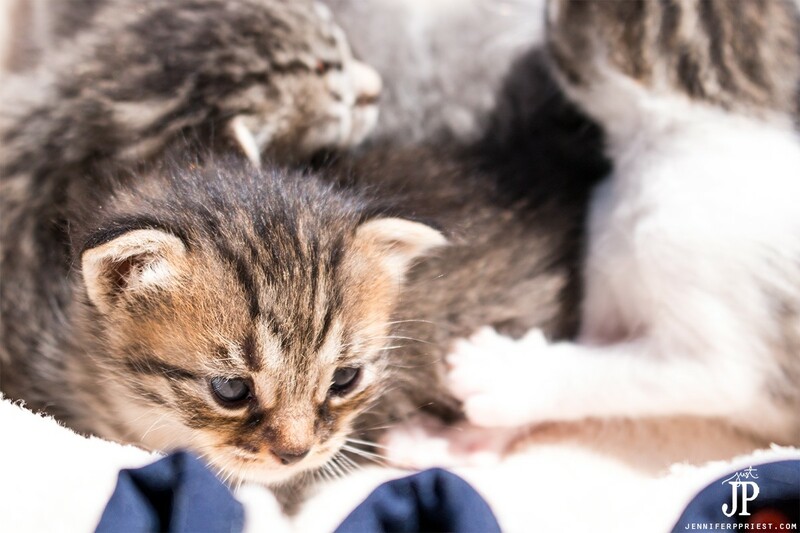 Once they're a bit older, we can leash train them and take them on play dates with other kitties or to friends' houses. 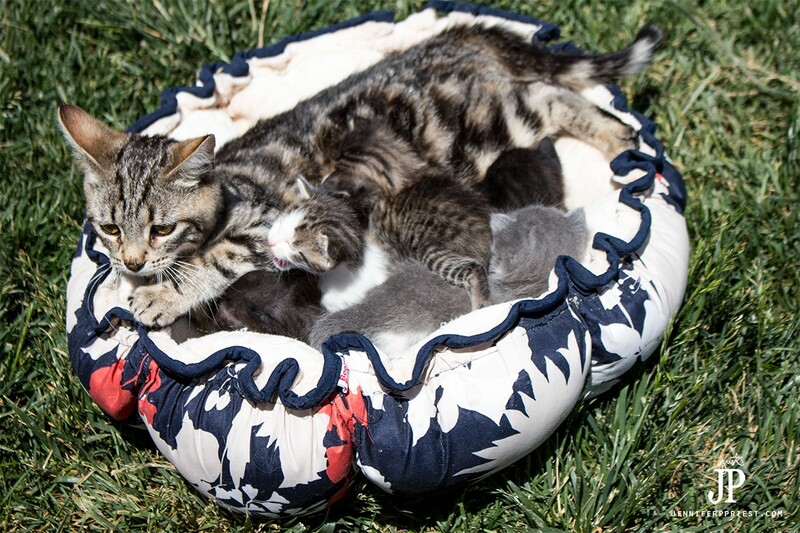 With kittens, take care not to disrupt the bond between mother and kitten. Our cat is a young mother who we handle often so she was fine with us touching the kittens. How will you take your cat on an adventure for National “Take Your Cat on an Adventure” Day? Kitties can have adventures at any age! I’d love to hear your plans for National “Take Your Cat on an Adventure” Day and any ways you share in adventure with your cat. And be sure to visit www.mygreatcatadventure.com for more tips and ideas for going on an adventure with your cat. Share your adventures on social media using #MyGreatCat and @ProPlanCat and your photo may be featured on their site!